William “Bick” Johnson, executive chef at the Bald Headed Bistro, has been named as a 2013 Best Chef America in a coffee-table book to be published in March. The executive chef at Tennessee’s famous Bald Headed Bistro is receiving national attention for his commitment to excellence. William “Bick” Johnson – a fixture at the Cleveland, Tennessee restaurant since opening day on Sept. 7, 2004 – received notice in January that he would be included in the book 2013 Best Chefs America. The book is regarded as the ultimate reference guide for chefs and is published each year to showcase the top chefs in the United States as selected by their peers. For the 2013 edition, over 5,000 chefs were interviewed. Mr. Johnson said the Best Chefs America book will be available online and in bookstores in March. Alongside the best chefs, the book will feature information on emerging trends in the restaurant industry, interesting ingredients and other culinary happenings in the United States. Mr. Weekley said Mr. Johnson joined the Bistro team after the restaurant’s founder, Allan Jones, conducted a nationwide search in 2004 to find an executive chef. Mr. Jones, a Cleveland native, has received national attention for his outspoken nature, generous philanthropy and unapologetic love of his hometown. Mr. Johnson formerly served as executive chef for a Caribbean restaurant on the island of Saba in the Dutch West Indies and has also helmed kitchens in British Columbia, Seattle, and San Francisco. Mr. Weekley said Mr. Johnson’s creativity keeps Bistro patrons coming back again and again. The restaurant's elegant menu infuses the flavors and style of Jackson Hole, Wy., into a charming Southern setting, he said. The restaurant’s signature dish is the “BHB Filet,” which is prime tenderloin rubbed down with a secret blend of herbs and spices and then placed on a hickory, wood-fire rotisserie for 45 minutes. Mr. Johnson, a graduate of Rhodes College, originally planned on becoming a teacher. He said his plans changed after dining at an outstanding French restaurant. Mr. Johnson is a member of the American Culinary Federation and is a Certified Executive Chef. 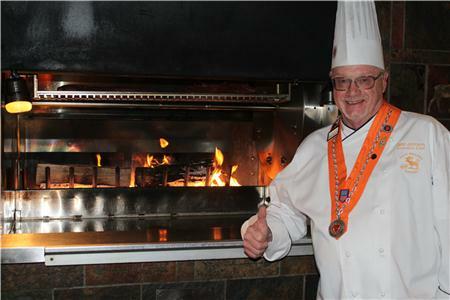 He is a Chef Rotisseur with the Chaine des Rotisseurs of Chattanooga and holds the office of Vice Conseiller Gastronomique. The Bald Headed Bistro is at 201 Keith Street in the Village Green Town Center. The restaurant’s reservation line is 423 472-6000.